The Singapore Legal Futures Conference was something I looked forward to attending.1 It had, as its premise, the unprecedented change in the global legal landscape due to transformative developments in areas such as technology, the economy and society and the evolution of Singapore’s legal sector at a pace faster than at any other period since independence. 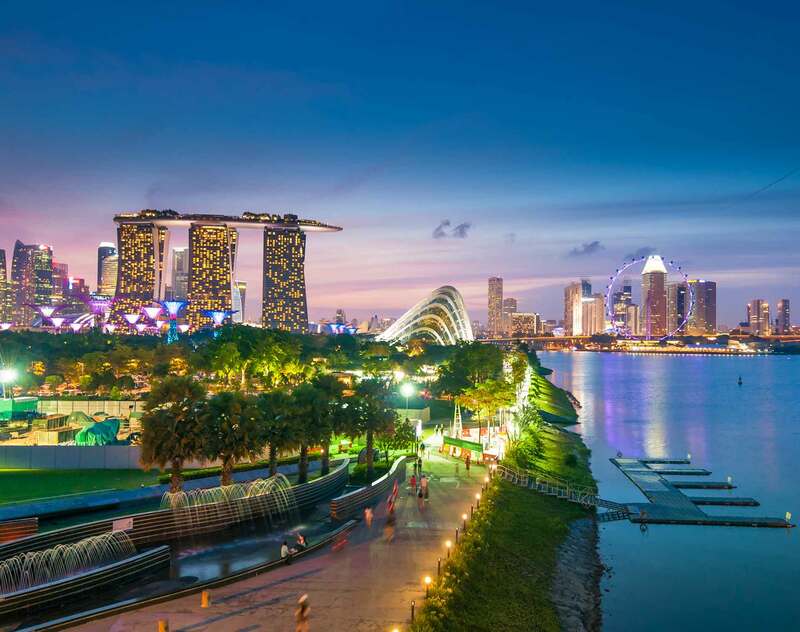 The conference proposed to investigate how these developments would impact law and justice, affect the legal sector and what participants in Singapore’s law and justice sector could do to adapt and thrive. It did so by bringing together a group of respected legal futures experts and thinkers, some of whom I knew by reputation. This article attempts an account of the event for the benefit of those who were not able to attend and tries to capture the essence of the speakers’ presentations within the constraints of a limited article. The conference was opened by Mr K Shanmugam, the Minister for Foreign Affairs and Law. The Minister referred to recent rapid changes in the world and said that Singapore was fortunate to have a legal profession that was prepared to face up to such changes. His Ministry had put in place a regulatory framework that embraced and sometimes anticipated change, making Singapore institutions, law firms and lawyers stronger and more relevant in the region. Singapore became more international in her outlook, creating more opportunities in areas such as international dispute resolution, and enhancing areas such as family law to better serve societal needs. However, there were new challenges. Borders were increasingly porous and legal services may in time be no longer necessarily tied to a jurisdiction. Legal work was being commoditised. The traditional litigation financing model, where lawyers charged time costs, was a model that was not going to be viable moving forward, and the Ministry had to keep reviewing this. The Minister revealed that last year, the Ministry engaged the Hague Institute for the Internationalisation of Law (“HiiL”) to look at trends and to advise it on future challenges. He said that whilst change was a constant, there was another constant from his perspective. A strong local Bar played a significant part in the Singapore story, and he believed that Singapore must do everything she can to ensure that a strong Bar remained a vital part of society. What the next chapter of Singapore’s legal landscape would look like depends not only on what the Government does, but also on the profession, who had to do its part so that Singapore could face the future with confidence. Governance: A shift in emphasis from top-down, hierarchical Government to multi-stakeholder platforms with more horizontal governance. Economic forces: The world was moving from steady economic integration to accelerated economic regional integration, particularly in Asia. Technology: A shift from robots that execute mainly simple, repetitive tasks to automated systems with capacity to perceive, learn and make decisions. These driving forces significantly impacted all three functions of a justice system: rule-making, enforcement and compliance, and conflict resolution. The status quo would be hard to maintain. Three fundamental ideas would help Singapore deal with these driving forces: leadership in the law, training of lawyers, and regulation of the legal profession. 3-D printing: 3-dimensional printing allowed a diverse range of objects to be created from a “home” environment, from sculptures and jewellery; buildings and engines; and even organic materials such as food, and artificial human organs. Synthetic biology: Pioneering developments in changing biology into a form of engineering would revise definitions and perceptions of human existence. Robotics: The use of robotics is increasingly wider than in industry. Robotics are now being deployed in areas such as restaurants and transportation. Using the example of the internet and how it changed intellectual property law, Prof Lemley thought that the three technologies above would lead to similarly disruptive effects to the substance of law. For instance, there could be a shift from liability for an end-product to liability for its initial design. There were also legal and practical problems with regulating the printing of prohibited objects, such as weapons. Technology may cause huge structural unemployment and income inequality, but the world had dealt with similar problems historically during the transition from an agrarian economy to an industrialised one. Clients: Transactions would move with the changing economic centre of gravity: away from the global North or West, and towards Asia or Africa. Clients would be increasingly international, sophisticated, demanding, and cost-conscious, likely leading to an unbundling of services offered by law firms. Competition: Since the 2008 financial crisis, legal needs in the global North or West had not increased at the same rate. New forms of competition were also coming in with accounting firms returning to provide legal services. Non-traditional competition has also emerged from providers who are neither legal process outsourcing outfits nor law firms, such as law-and-technology startups. Law firms are turning to capital markets to fuel expansion. New markets are opening up, but law firms in those spaces are also learning very quickly and have global ambitions (eg the “Red Circle” firms of China). Technology: With the increase of bandwidth legal work can be broken up and distributed across different locations, and hence distributed among lowest-cost providers. People: Lifespans are extending, but law firms still have pyramidal structures which advocate the departure of people at the apex despite their many remaining years of productive life. Mobility of lawyers is increasingly high, with the law firm that can truly balance lifestyle with productivity having a huge competitive advantage, particularly in retaining top female talent. In terms of implications, Prof Ashish thought that first, having bright lawyers would simply be seen as table stakes; true advantage lay in firms with lawyers who are also thoughtful about the business of law. Second, firms needed to be more outgoing and less cloistered. Third, firms needed a clear strategy in terms of profile, service offering, differentiation, and value proposition. The conference then went to its fourth and final speaker Professor Richard Susskind, Author of The End of Lawyers? who spoke about “The Future of the Legal Profession”. His focus was less about what the future holds, but rather the right mindset to have when thinking about the future. To Prof Susskind, this was to anticipate where the future is headed and to realise, for example, that lawyers will increasingly be required to see and resolve problems from the client’s perspective rather than a legal perspective. This required consideration of the premise that legal systems today are 19th and 20th century institutions not fit for purpose in the 21st century. Prof Susskind thought that civilisation was at the knee of the curve of exponential technological change and that by 2021, the average desktop would be able to handle about the same number of operations per second as the human brain. It seems possible that legal advice will one day be dispensed through automated systems. These changes were disruptive and fundamental and affect our understanding of justice and of judicial systems. He proffered the thought that access to justice was now being thought of in terms of access to Court dispute resolution, when a more progressive way of thinking about it was in terms of dispute containment and dispute avoidance. Prof Susskind referred to his work in developing online dispute resolution for civil disputes in the UK. His recommendation was to think of online dispute resolution in three tiers: Judges deciding suitable cases first through online facilitation, and then online evaluation and finally in adversarial contest. He also offered several principles: The law should be affordable, accessible, intelligible to all; it is not the purpose of the law to provide a living to lawyers; lawyers should survive and thrive because they bring unique value; the only justification for exclusion is to safeguard clients; and technology and decomposition should not be discouraged by fiat. He ended with two quotes, one from Jack Welch and the other from Alan Kay2: “Change before you have to” and “The best way to predict the future is to invent it”. The Senior Minister of State for Law and Education Ms Indranee Rajah, SC then closed the conference, adding that Ministry of Law organised the conference to encourage lawyers to focus their minds on what the future might bring, and to understand that lawyers will either have to change or be changed. She encouraged the profession to continue investing in continuing professional development and skills upgrading, and to keep up with new ways of thinking about legal practice and how lawyers can provide value to clients. To encourage budding lawyers to think in that direction, she announced a competition that the Ministry of Law was launching to provide students with an opportunity to say, in their own words and in their own way, what they thought of what the future held for Singapore’s legal profession, its laws and its legal system. (Postscript: the competition now has an “Open Category” for Singapore citizens and PRs, in addition to a “Student Category”). Details are in the announcement here. The conference was about change and its effects on the future. It reminded me of the saying4 that it is not the strongest of the species, nor the most intelligent, that survives. It is the one that is most adaptable to change. These changes may have an impact on even our self-definition as a “profession” and, unless we deal with them for what they are and what they will be, we will not be able to handle their effects. There is much on which to reflect in our 50th year of independence; and much to contemplate in relation to the next 50. The article was first published in August 2015 of the Singapore Law Gazette. Author Lawrence Teh is the Chairman of the ADR Committee. 1 My interest was piqued not only by my general interest in the future of the profession, but also because I was nominated by the Law Society to be part of the Legal Futures Working Group, created by the Ministry of Law. The Working Group had done a substantial amount of work, and I was interested in seeing whether some of our observations and conclusions were referred to or supported by these thinkers. 2 An American computer scientist best known for his pioneering work on object-oriented programming and windowing graphical user interface design. 3 Space constraints do not allow me to elaborate on the content of those discussions. 4Often wrongly attributed to Darwin.